I have an 84 300zx, my pops left it sitting for a decade, and I’m tryin to resurrect it. I’ve got a new battery w/ 525 crank amps, new spark plugs(and dropped mystery oil in plug holes) new fuel pump, and fuel showing on the return line past the pressure regulator. Got good spark, tested only one plug, have tried cranking w/ MAF sensor connected and disconnected, When I crank, it sounds dry, like no fuel gets into the cylinders, and the ECU reads code 31. Any ideas would be appreciated! Thanks gents! Sorry, forgot, it will fire with ether into air intake. If it starts with ether in the intake then it's probably not getting fuel otherwise. Something between the fuel rail and the cylinders is not functioning. Fuel injectors? I’m going with injectors plugged. Like above if they don’t click, open and close, you won’t get fuel. I just went through this with an 87 NA. Had to clean them one by one and jump them to get the, to open and close. Car on sat for about 2 years. Okay, thanks for the input guys, I’ll pull the injectors and get ‘em cleaned up. 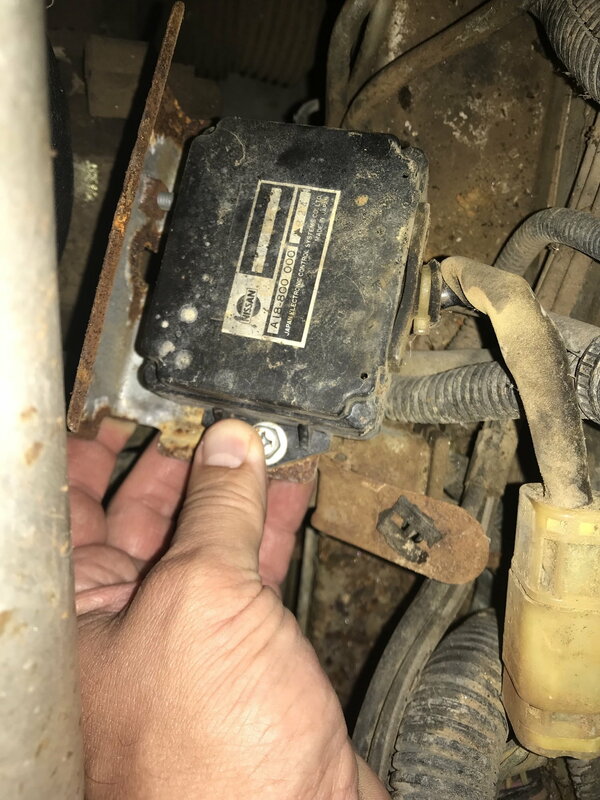 I was doing some rust abatement on the battery tray, and pulled a couple bolts off the side of the tray, what looks like a fuse box came out from under the tray. I’m having trouble identifying this component, anybody know what this is? From under the tray? There is a black box on the side that has three fusible links in it. Got a pic? Sorry, yes under the metal battery tray. And if this is fusible links, would one of them be the one that goes from the ECU to the injectors? That is the fuel pressure regulator module. have you down loaded the FSM from Xenon? They have a pretty decent diagnostic pages. 280z 1975 fuel and spark but won't start!? Quick Reply: ‘84 NA Auto has fuel and spark, won’t start?